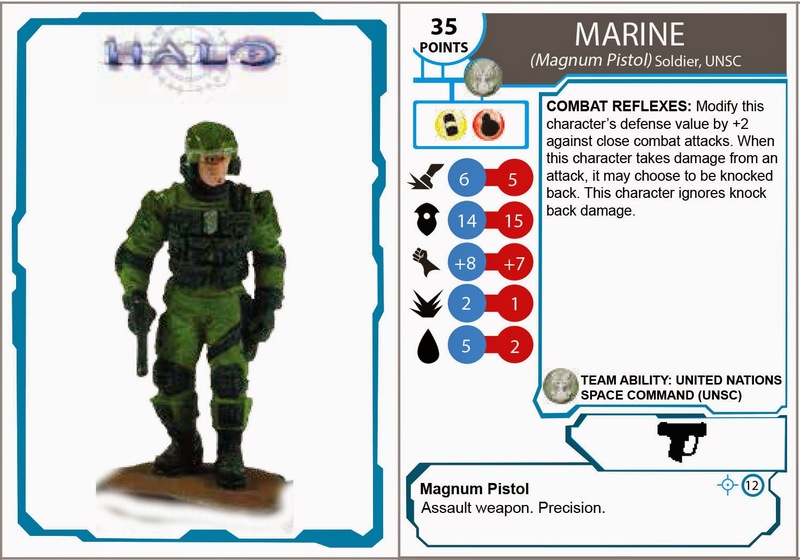 Since last year when I was able to buy my first Halo ActionClix miniatures my mind was working on bringing the Halo Universe to the table top gaming. I liked some things from halo Actionclix (later Halo Heroclix) but the game was lacking of that quality of strategic that games like D&D miniatures or warhammer 40K had, so I started this year with my own set of rules (with the help of some great friends) to make a system that was fast and fun. This game is build around of small squats of soldiers (also called characters in this system) that move in small battlefields with abundance of terrain to take cover. There is some vehicles in this game but the main goal is to have small groups that move trying to capture objective and in the same time trying to wipe out the enemy squat. This system was build using as starting point the rules presented by Actionclix. In this system the characters have five stats (speed, defence, attack value, damage, health), this stats have two numbers, one in blue that is called fresh stat value and one in red, also called Fatigued stat value. The idea of the game is that Health represent both the life and energy of the character (or stamina), and when he is wounded or damaged become more fatigued and less optimal for combat. When the character reach half of his original life (rounded down) he become fatigued, changed his stats value (usually for the worst). This change can make that the character loose or acquire power or abilities. 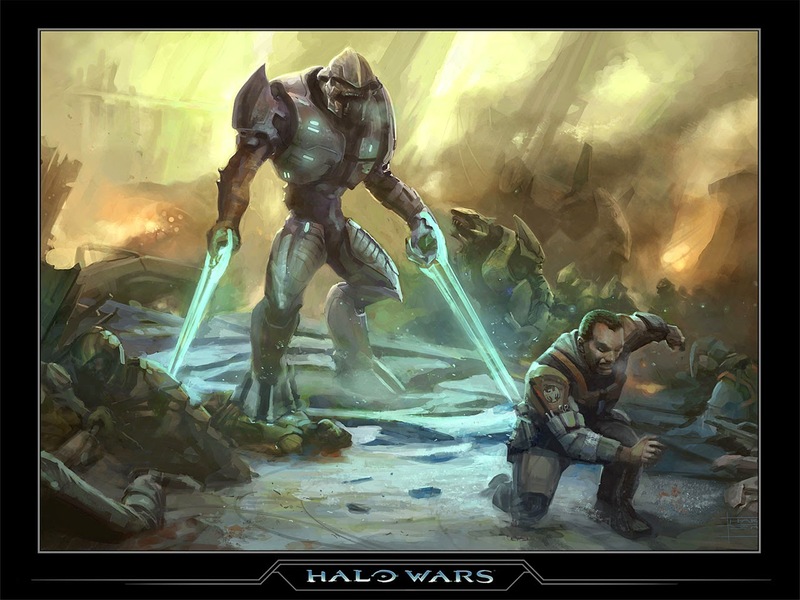 An example is Spartans, when they are fresh they have shields that absorbed the damage that they take, when they become fatigued they loose their shields, but instead gain the ability to dodge income attacks. To make attacks you use 2d6, this mean that the base number for this roll is 7, so a character with +7 to attack, making an attack to a Defense 14 will hit 50% of the time. As a starting point I created a base creature as reference: the humble human civil. With this creature in mind and with the help of my friend Camilo Valencia, we created a point system to improve the stats of this character increasing his point value. Increasing Speed = +1 for each extra 1"
Increasing Defence = +2.5 for each point over 13. Increasing Attack value = +2 for each point over 7. Increasing Damage value = +3 for each point over 2. Increasing Health value = +3 for each point over 5. Each extra special ability increases the cost in +5, and at the each we approach the final value to the next multiple of 5. 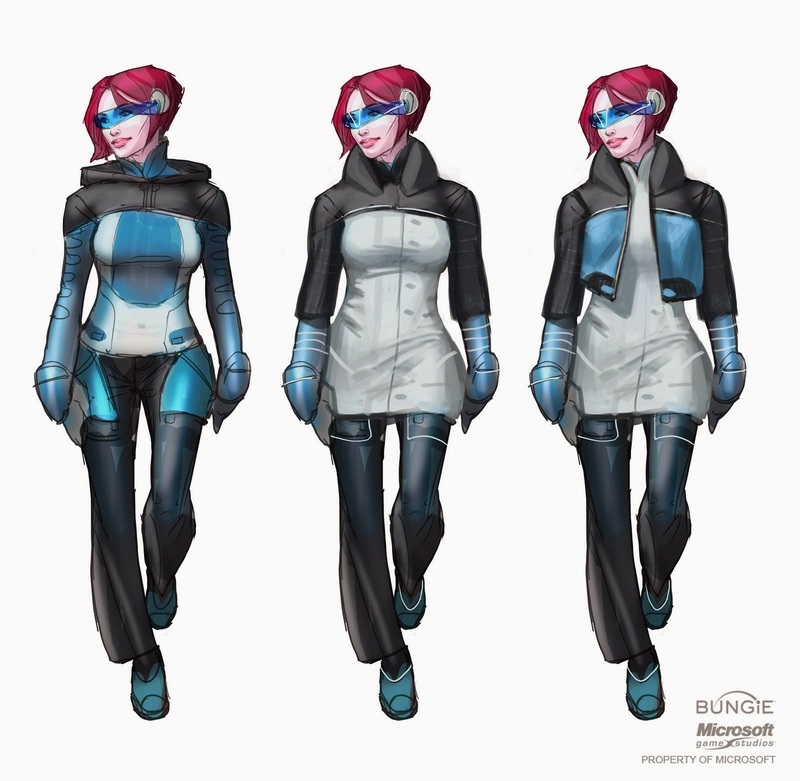 This was just one guide, and some characters have differences, but many follow this concept. Having this in mind, we can calculate the probability of a character to hit another, as in the following tables. This process was just a starting point and during the game testing was necessary to make corrections into specific cases. One example was the grunts. At the beginning a grunt with plasma pistol cost 35 points. Two of this small guys had the same price of one Spartan, and the Spartan was more deadlier. After some battles was clear that grunts must be reduced his cost to be more point efficient, that is the reason why now a grunt cost 20 points.